Twenty-eight years ago today, on 9 November 1989, the people of Berlin – east and west – joined together to dismantle the wall that had cruelly separated their city for twenty-eight years. 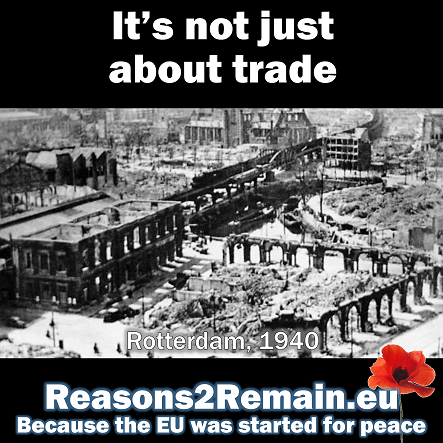 It was a momentous event that led to the downfall of the Soviet communist regime, followed eventually by applications to join the European Union by most of the former Iron Curtain countries, fully supported and encouraged by our UK government. It’s an event worth remembering and celebrating. But there is also another event that happened on this day in history that we should surely also not forget, but which we cannot celebrate. On this day, on 9 November 1938, commenced 48-hours of ‘Kristallnacht’, also known as ‘The night of broken glass’. Throughout Germany and Austria, Nazi Stormtroopers – ‘Brown shirts’ – together with non-Jewish civilians, commenced a co-ordinated series of vicious attacks against Jewish people and their properties. 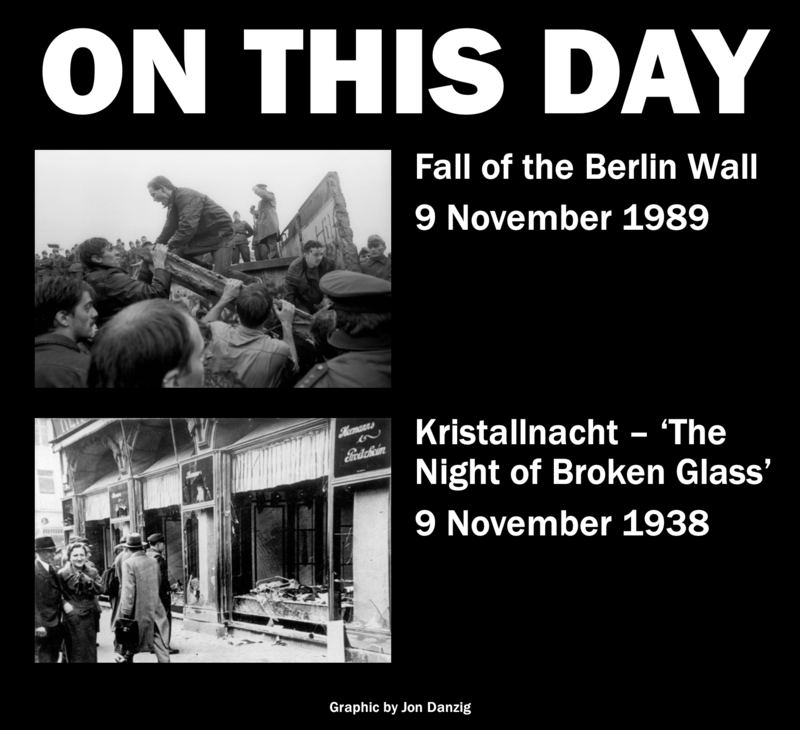 The name Kristallnacht comes from the millions of fragments of shattered glass strewn across the streets after Jewish homes, shops, buildings, schools, hospitals and synagogues were ransacked and their windows mercilessly smashed with boots and sledge hammers. Over 1,000 synagogues and 7,000 Jewish businesses were destroyed. At least 91 Jewish people were killed and 30,000 arrested and incarcerated in concentration camps. The two nights of terror were widely reported by the media and sent shock waves around the world. Soon these events led to the Holocaust, which saw the horrific, industrial-scale murder of 11 million victims across most of Europe, including six million Jewish people. It was arranged with meticulous calculated efficiency by the Nazi regime, which was only eventually defeated by the combined forces of Russia, USA, Britain and their Allies following a terrifying five-year world war. 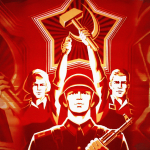 But instead of celebrating liberation following the end of Nazism in 1945, half of Europe’s countries were then consumed by another totalitarian regime, Communism. It was only 44 years later, as the Berlin wall began to crumble, that those countries could see freedom at last. 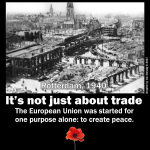 This was Europe’s gruelling arduous road to peace and liberation that we should surely reflect upon today. Maybe this is something we, as islanders, simply don’t understand as deeply as those who live on the mainland of our continent. 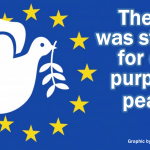 Europe has suffered profound pain on its path to find peace and ‘integration’. It was previously commonplace on our continent for differences between countries to be resolved through violence and war. Indeed, the planet’s two world wars originated right here on our continent. For many, the Second World War only ended in the late 1980s and early 1990s, when the half of our continent that was hidden from us behind an ‘Iron Curtain’ was liberated at last. We saw the fall of the oppressive Soviet Union, and many of the countries that had been trapped in its sphere then re-joined our family of countries through the European Union. Following our continent’s long and harrowing journey, we have found peace, and yes, integration at last. And yet, in response, Britain is on the road to Brexit, snubbing our friends and neighbours on our own continent, and putting at risk Europe’s profound and remarkable accomplishments of recent decades. Do we really know what we’re doing? 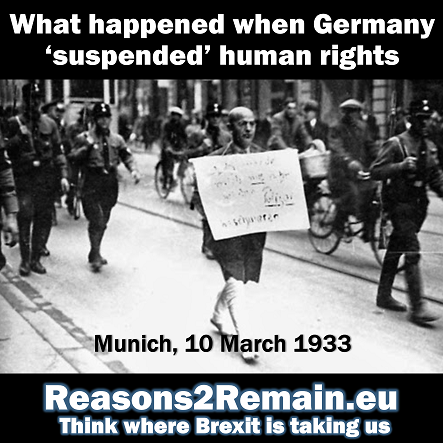 This entry was posted in Current Affairs, Democracy & Citizenship, Economics & Trade, Global & International, Law & Justice, Politics & Public Policy, Security & Defence, The EU and tagged 9 November, Berlin wall, Holocaust, Kristallnacht, Second Word War. Bookmark the permalink.